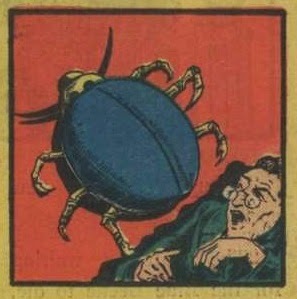 Twenty-two years before a teenaged Peter Parker is bitten by a spider, the Blue Beetle is the first bug-themed hero to deal with radioactivity! Told in the form of Charley Storm phoning in a report to his editor, Eli, it deals with radium, flouride, orphans and yet another scientist using the downtrodden in the name of progress. 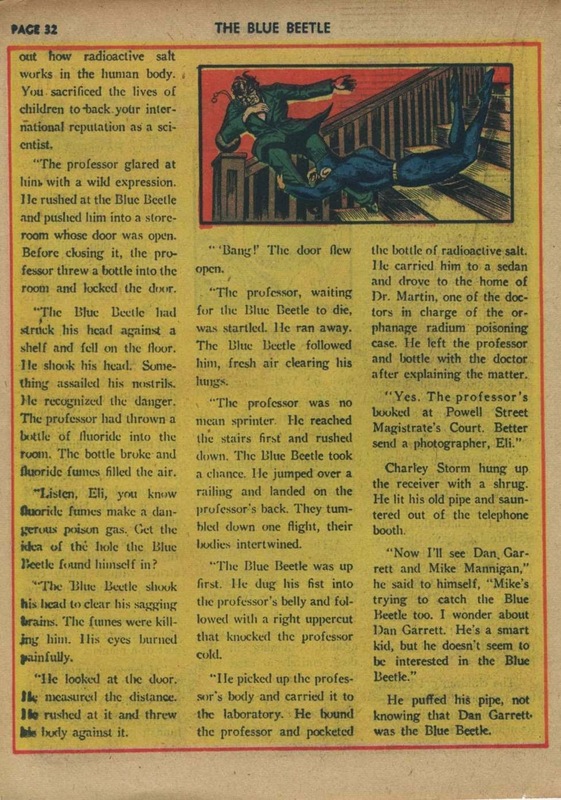 This text story from BLUE BEETLE #2 runs fast and is over before you realize it. 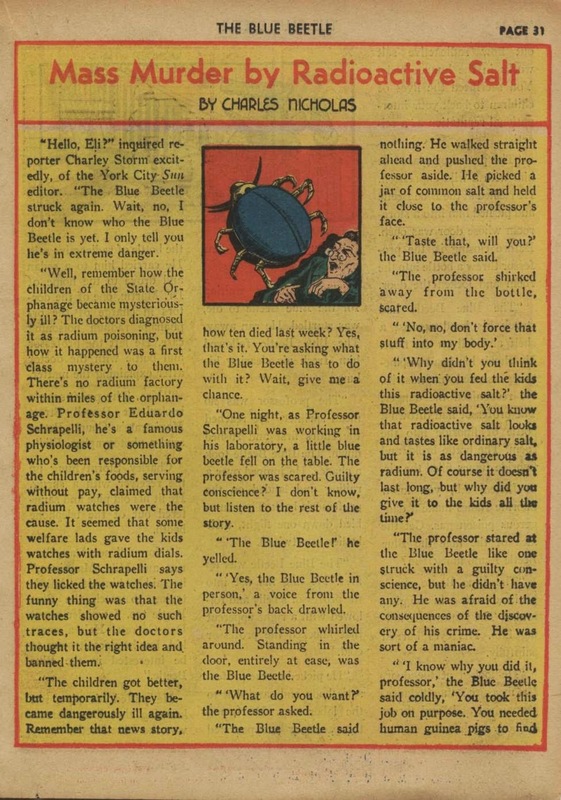 By now every Beetle story is credited "by Charles Nicholas", but it's a good bet he didn't write this. In fact I'd wager it was Joe Simon, as it certainly is up his alley and a little too rough around the edges for Will Eisner by this stage. Unkown artist, but those lanky stretchy legs almost seem like the work of Al Avison.